A blog post by Exhibitions Intern Jillie Drutz. To read more posts from JMM interns, past and present, click here. 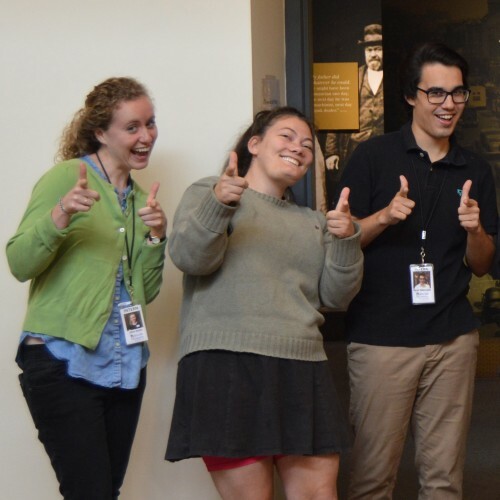 My first day as an intern with the JMM, we learned about PastPerfect, the (kind of crazy cool to be honest) collections software the museum uses, and were instructed to explore and practice the many ways you can use the software to research objects, archives, and people. 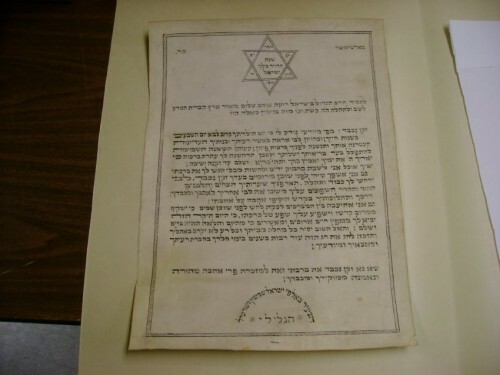 Exploring the collections–menus from the Suburban House, Kiddush cups, and old photographs from Pikesville–I could not help but feel as if I were rummaging through my own grandparent’s basement. With Jewish grandparents born and raised in Baltimore, I started searching their names in PastPerfect expecting some interesting results. The only thing I found was that I would need to do more genealogical research on my paternal family to yield any results. One name did catch my eye: “Samson Benderly.” I knew the name Benderly because it was my maternal great grandmother’s maiden name. I never considered looking for my mother’s family in the JMM collection because they immigrated to the United States from Israel recently. Looking at a photo of a Happy Birthday certificate Samson Benderly wrote to Rabbi Benjamin Szold from the JMM collection, I quickly texted my grandmother, the true matriarch and keeper of all family knowledge, if she knew of a Samson Benderly in the family. 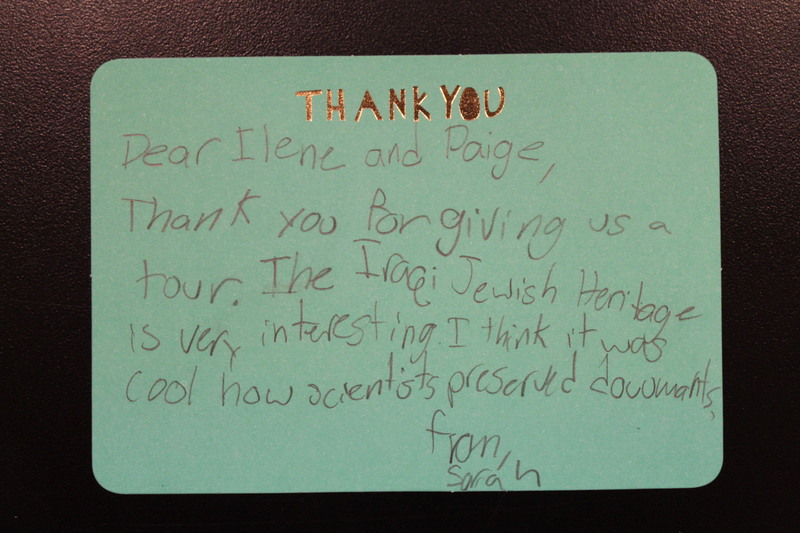 She said she had not but our Benderly’s all came from Tzfat in Israel and that might help. Born in Tzfat, Dr. Samson Benderly (1876-1944) was rapidly gaining my interest. 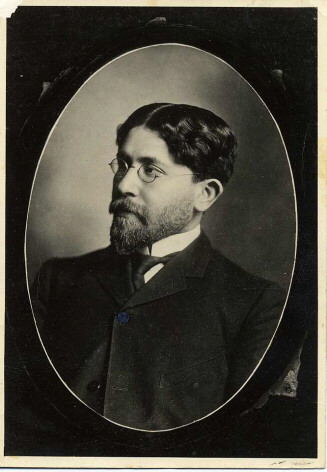 Benderly came to Baltimore in 1898 where he became the revolutionary father of American Jewish education. He guided many people who would later go on to become influential institutional leaders. He even knew the powerhouse that was Henrietta Szold, a Zionist leader, and founder of Hadassah. I looked through a family history book compiled for a three day Benderly family reunion held in 1998 and there I found a Shimshon (or Samson) Benderly, who was recorded as coming to the US in 1898 and became involved in education. My family and I were amazed when we read this. It was just really cool! But it also made me realize that even though I am a Jewish Marylander, it was not until I discovered Samson Benderly did I really feel a connection to the JMM. And I was kind of surprised at how closed I had been as a visitor. It is so easy to walk in a nicely air conditioned museum exhibit, gawk at the foreign objects in glass cases adorned with didactic plaques, and forget that they tell our stories. And my discovery reminded me this and that the people exhibited (even if we cannot fully understand them) are real. It would take thousands of blog posts to even begin to describe let alone capture how much emotional, cultural, and social value museums provide to people, in terms of learning and understanding. But, unless you work for a museum, personal connection is the one museum experience that we forget about. Learning and more importantly understanding are not possible without connection, or in other words, the attempt to relate. It certainly helps to have discovered a potential ancestor in the collections of a museum or already relate to the content to connect to it, but that is not really necessary. It all comes down to the openness of the museum visitor. 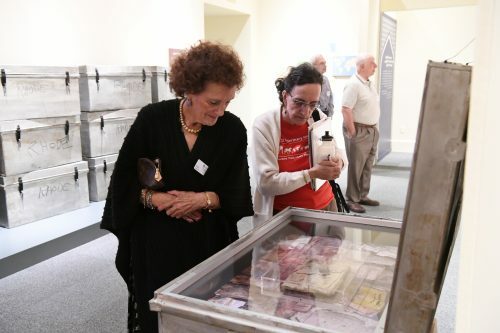 Even with all the painstaking work curators and educators put into designing exhibits and educational strategies that foster connections, without the visitor’s effort, connecting is not possible. And I challenge you to connect; explore a museum (its exhibits, website, resources) with not only a keen eye for understanding, but also an open heart for connecting. 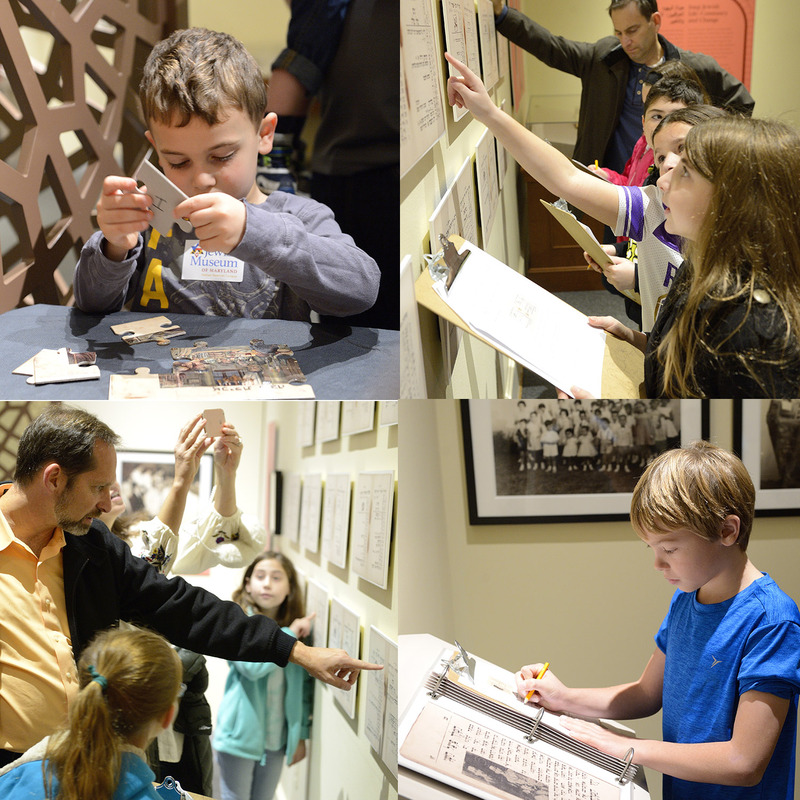 While I initially intended this blog post to focus on sharing a cool discovery of mine, I appreciate your patience in letting me take a different turn to remind us all that that museums are beyond interesting and even beyond relevant—they are personal. All that being said, did you know you do not need Past Perfect to look at the JMM’s collections? Our collections, archives, and photographs are available for your exploration on the JMM website. What will you discover? Krasner, Jonathan B. The Benderly Boys and American Jewish Education. Brandeis University Press2011.